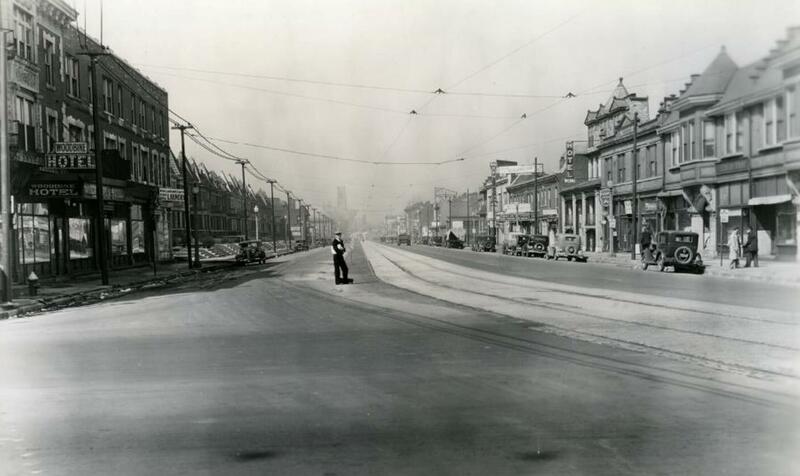 You are looking west on Delmar Boulevard from the Southeast Corner of Delmar and Kingshighway Boulevards on March 29, 1934. Near this location, the legendary Central West End Halloween street party returns tomorrow all day and all night. $4,500 in cash & prizes will be given away in a ‘fierce’ costume competition. Check out all of the gory details here.